Emilia Clarke is so adorable that you’ll gush while watching this video. 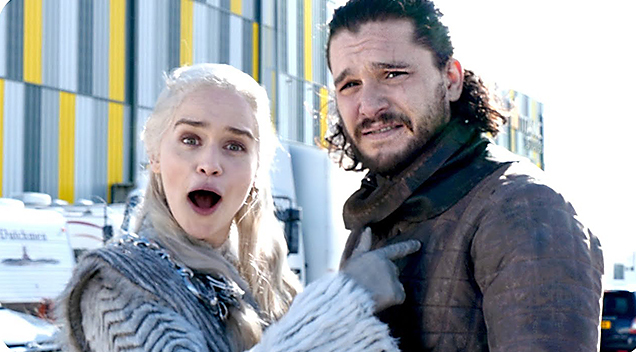 Watch Daenerys Targaryen’s behind-the-scenes tour of Game of Thrones with some special guest appearances by Kit Harington (Jon Snow) and Jason Momoa (Khal Drogo). Kit Harington’s April Fools Day Prank On Rose Leslie Is So Evil… And Pure Genius At The Same Time!